With all the excitement over expanded filming in Spain this year, the question has been asked: exactly how much Game of Thrones shooting will be happening in Croatia? Croatia, with the port city of Dubrovnik as the show’s base, has been a major location since season 2. Dubrovnik’s Old Town has shaped the look of King’s Landing and the people of the country have played a role in production as well, with thousands of local extras signing on over the years. Watchers On The Wall can confirm we’ve been hearing from various sources for a couple months now that Game of Thrones will be returning to Croatia for only a short amount of filming this year, possibly less than a week. Additionally Embassy Films, who handles production services in Croatia, has not put out a casting call for any extras in the country as of yet. This week, several readers of the site bring us new rumors out of Croatia, confirming what we’ve long been hearing unofficially. According to our Croatian friend The Rabbit, the current word is that filming in Dubrovnik will take place in October for couple of days, maybe a week, only. WotW reader Harold was visiting Dubrovnik and Lokrum Island last week, and stopped by the new Lokrum Visitors Center in the former Benedictine Monastery. 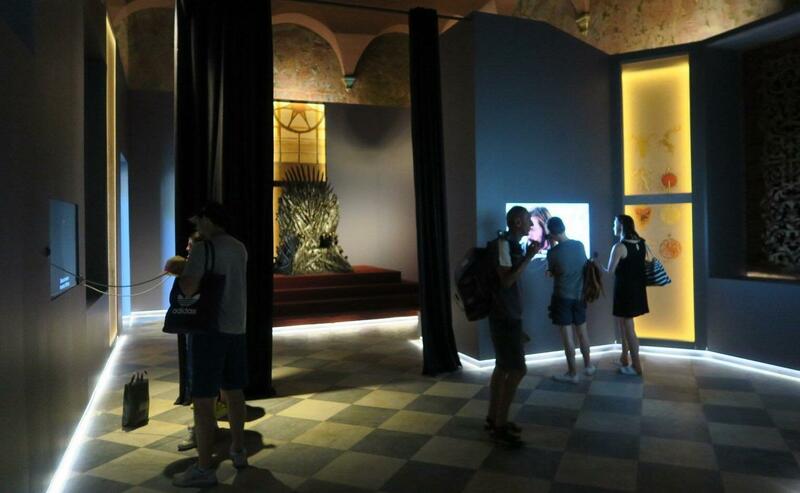 The visitors center houses an exhibition, including an iron throne of its own. While visiting, Harold also heard from locals that they expect filming back in October. WotW reader Mace also visited Dubrovnik recently and took one of their famous Game of Thrones tours. According to his guide, HBO hasn’t applied for any filming time in the city yet and that because the city is so busy, normally it would have been applied for long before now. The guide did also suppose it could just be secret, or that that it might mean they aren’t filming much in Dubrovnik this year. I wonder if any of the political protests made it in the recorded audio that you can actually hear in the episode! That would be neat, though possibly lead to some trouble for the show. Real life politics and Game of Thrones, that never works out. As for Croatian filming, it seems like they’re simply filming a few days worth of exterior shots for King’s Landing, potentially with main cast only, and that’s it. The other locations filmed in the area, like Braavos, have been moved to Spain. Are the difficulties last year during the filming of the Walk to blame? 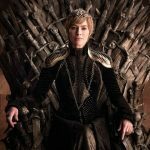 Or is Spain offering Game of Thrones a better deal financially? And in other news, you can rest assured, uncle Kevan will return. 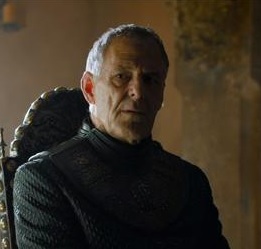 According to his CV, Ian Gelder is listed for 4 series of Game of Thrones, which means Kevan Lannister will be in season 6. I look forward to more sparring between Cersei and Kevan next season! Glenarm is a coastal village located near Larne. Larne if you recall is where GOT filmed several Vale-related scenes last year. There’s also a castle in the village, not to mention more rolling hills. Unless there are more sightings, it’s difficult to pin down exactly what they’re doing up there with those horses. 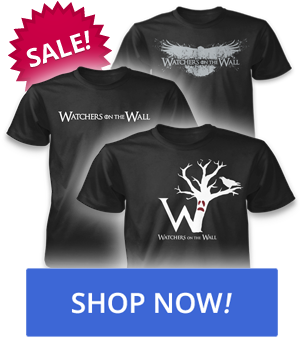 Watchers on the Wall Graphic T-Shirt Design Contest Finals! It’s basically the same language. Can’t see cersei wanting to go out much this season. Her trial and her scheming can be filmed in Belfast. I can see next season having the least kings landing so far in the series. I’m from Croatia and I never noticed the political protests or anything like that in the season five scenes. I’ll pay more attention when I rewatch the season. Also, local newspapers and sites reported about a month ago that HBO made an 8 million euro deal with Croatia to film the next two seasons here. Past deal was around 5 million. If winter and snow is really coming to King’s Landing in the next season, there would be no point to film in Dubrovnik in the summer because of the weather. It’s reasonable that they’ll film here in autumn or early winter. If you think it’s trash then why do you keep going to such lengths to come back? You seem quite confused. Ahhh so you’re trying to make yourself important? Like a small child having a tantrum? Studies show that people like George are massive losers and/or deep rooted narcissists who can’t let go of any and every perceived slight, even if they brought in on themselves. Feel sorry for them. Don’t put any more effort into them beyond that. They’re damaged for life and will live in misery forever. It really showcases the success of the show that they can just move around from country to country and employ 2/3 units to shoot simultaneously. This show is going to be missed but the last thing I want is a dragged out show losing its nuance. Anyway, back to topic – kinda hope Glenarm is Riverlands as there is a “Tully Road” nearby and would be a nice fit! Not annoyed just puzzled as to why you’re making such a desperate cry for attention? What is it you hope to achieve by “annoying” people? If this is really the best thing you can find to enjoy yourself doing then you need to get out there and discover life a bit more. Feel a bit like Tyrion trying to understand Cousin Orson. If nothing else, I expect it’s more cost-effective to consolidate filming in as few countries as possible. That makes sense. I wonder if they will move shooting to autumn/winter overall as the show progresses. I think season 6 may be a bit early for winter in KL, but I see it in season 7. And almost all other areas should have winter by then as well, so maybe they’ll deviate from their usual summer shooting schedule. I wonder though what that would mean for airdates. What kinda loser continues to come to a site they think is ‘trash’ just to make comments and get banned? Oh…a troll, which apparently you are. Well, if they think they’re gonna find snow in Girona, they’re bound for disappointment. In winter they might find some villages in the Pyrenees, but a friend of mine told me that in 20 years he’s only seen 2 real snowfalls in the city . Ha! In Romanian too, with a “c” instead of a “k”, it’s pronounced the same though. Most likely they will fim some exterior shots, with the main cast. A weak should be enough to film couple scenes. It seems at the end, that 8 milion euro in question went to Spain. Yeah, the Mediterranean is better known for a place to escape snow than for seeing it! Moreover, unless they want big snowfilled landscape (hello, Iceland! ), they usually fake the the snow. Real snow tends to be less cooperative than child actors, even. My sources here at the University and also through intel (a U.S. base is nearby) is that ISIS plans on targeting Croatia, or moved the country into their top ten to focus on. 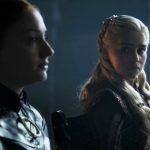 Terrorist groups love soft targets that will garner international attention, and if the country is now on the list, attacking a GoT filming crew while shooting a scene would facilitate monumental exposure. I hope this is not the case and either it involves $$, or church antagonism. Considering Spain is close to North Africa, and within easy reach just as Croatia, it could be military hyperbole, they love talking about scenarios. Furthermore it gets colder faster and snows earlier in that region of Spain, compared to Croatia, and they could be hoping to catch Winter in November early December. The guide said (as was widely published), that there was a lot of trouble organising the walk of shame, and the logistics of it were a nightmare. You really appreciate how hard it must be to film, when you see just how small and busy the old town of Dubrovnik is! Another interesting thing the tour guide said, is that the scene when Jaime first returned to Kings Landing after his hand gets cut off, he comes in through Pile Gate, the main gate to the old town. For this scene, they had to close the gate, the first time it’s been closed since the Siege of Dubrovnik during the war in the 90’s. Apparantly like 7 cruise ships were in port that day, so there was like 8000 extra people trying to get into the city, all via this one gate that they closed! Was chaos, even when they told them that there are 2 other gates to the old town. Perhaps the logistics of filming in Dubrovnik is getting too hard, or, more likely giving the casting calls and locations for S6, we just won’t see much of KL this year. I wonder if maybe it’s the Croatian government and the local people who are tired of putting up with the production’s logistics. Out here in Los Angeles, we get a lot of street filming, and it almost always universally creates public scorn, even though we realize it’s an important part of our economy. It’s just annoying!!! Then again, it could be very possible that all they need is a few shots to pad out what’s mostly going to take place indoors. That makes sense. I wonder if they will move shooting to autumn/winter overall as the show progresses. I think season 6 may be a bit early for winter in KL, but I see it in season 7.And almost all other areas should have winter by then as well, so maybe they’ll deviate from their usual summer shooting schedule. I wonder though what that would mean for airdates. I don’t think they are going to make any substantial changes to shooting schedule or locations. In Northern Europe, outside shootings for Winter conditions are usually done in March or even April, because even when shooting “gloomier” look, you need more daylight hours than there are from mid-November to mid-Febuary. Although, in case they want to do some KL shoots outside, in a snowy environment, I think Tallinn and Riga would be perfect. Dubrovnik is spectacular, but I always felt, reading the books, that the morphology around KL is closer to that in Baltic States than in Croatia. Mace The Ace: we just won’t see much of KL this year. It is possible that KL does not figure prominently in the narrative for Winter, too. Only one protagonist is still there at the end of Dragons/Season 5. And she seems to be doing her utmost to work herself out of the place! My guess is that they will have to move to a slightly colder location. Curvo=whore exists also in romanian language…and romanian language is a completely different language. Yeah, I remember that the walk of atonement caused a lot of controversy here. A lot of locals and a church in Dubrovnik were trying to prohibit tast scene from shooting. Shame. So yes, it may be because of logistics. But people here are also aware of the tourism and economy benefits that the series give to our country. Never has a show or a movie as popular as GoT been filmed here. It’s basically a great advertisement for our country. And as there were no new confirmed locations for KL and Meereen, I assume that the production here will come later in the year. Oh no! Mads has been signed to SW Rogue One, which films into November, but there is no indication of the size of the role. 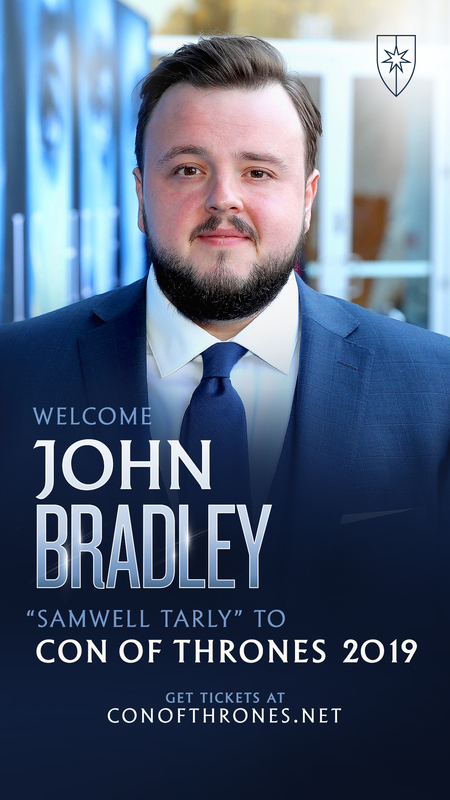 He is one of only a handful of actors announced with a picture, so I guess it’s rather major. I guess everyone who wanted him as Euro will have to give up on that idea. What's Richard Armitage's schedule looking like these days? I guess the KL story next year does not really allow for outdoor scenes, with Cersei being imprisoned and all. They might only film the iconic KL places in Dubrovnik and the rest in Spain. Will there be no filming in Split? 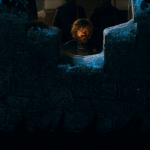 So no dragon dungeon/Meereen wall as seen in 4×03 and 5×10? Da! 😀 Chiar banuiam ca esti roman, dupa nume. Mereu ma bucur sa mai gasesc concetateni pe aici! Have you ever heard of Marioara Zavoranu? Let’s not start creating rumors about shooting in Croatia. I’m sure the only reason they’re only filming for a few days is just… that they don’t need more days! Back in season 3 they only shot in Croatia for just over a week (they had Morocco), and that didn’t mean anything either. I really wish I could say no. Yeah, if Winter does indeed come in KL this season, I think they’ll shoot most of the snowy exterior scenes (I doubt we’ll have many) in a studio, I think that’s easier and cheaper. GeekFurious: I still just call them all Yugoslavians. Wow that is rude and offensive. Croats are Croats, not Yugoslavians. Are Mexican, Canadian and Americans all the same nation? They all live in America. Snow in Dubrovnik is not normal occurrence. We normaly do not have snow in winter time. Dubrovnik has very mild winters. 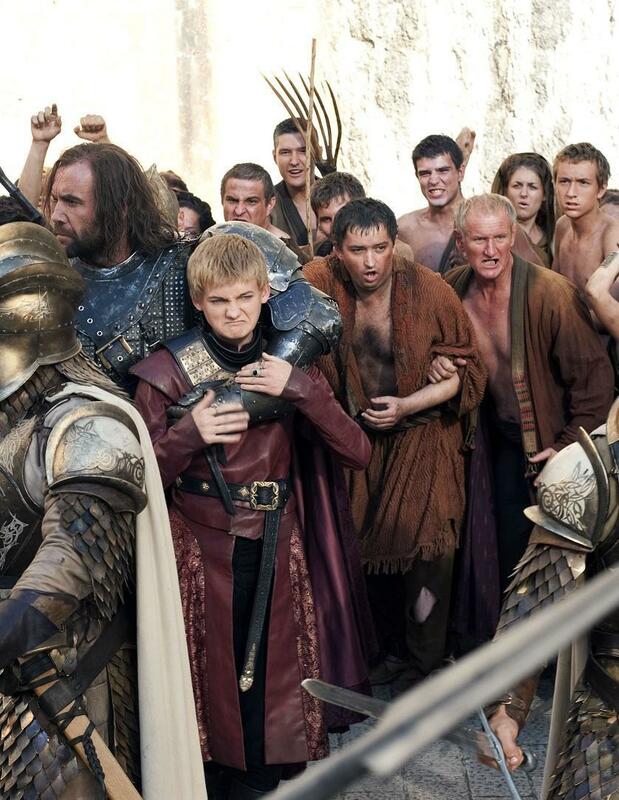 Actually, the producers of GoT wanted to film in Spain from S1, but it was really expensive. Last year, the Spanish Government changed the law to get a good deal with HBO and the economic results in Seville were a-ma-zing. 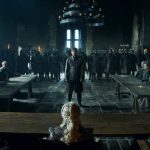 This year they went further and one of the Spanish ministers has said that there’s an agreement to film S7 in Spain. This is all about money and good available locations, not about Isis or Snow. 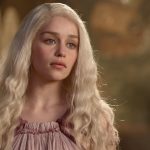 All Meeren scenes for Season 5 except Daznak’s Pit are filmed in Split. I figured it was money in the end. It always is, when it comes to these decisions, isn’t it. Damn hay fever! Every time I get a sneeze (even with anti-wotsits! ), what happens? 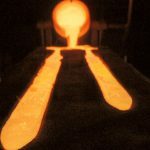 Some more news comes out! That’s what I meant, and that’s why I’m wondering if they’re going to film there, as Split is sort of Meereen’s Dubrovnik. Sue, any clue? No need to feel insulted. I’m sure the other poster meant no harm. As a rule, people from other ex-Yugoslav republics have fond memories of Yugoslavia. A somewhat different sentiment prevails in Croatia though. Mr Fixit: No need to feel insulted. I’m sure the other poster meant no harm. As a rule, people from other ex-Yugoslav republics have fond memories of Yugoslavia. A somewhat different sentiment prevails in Croatia though. There’s a lot of Yugo-nostalgia in Croatia as well (but not in Dalmatia). I wonder if the problems with the church are part of the reason the filming moved to Spain. It wouldn’t surprise me, Croatians (especially Dalmatians) can be quite militaristic when it comes to church and it’s values (just look what happened at Pride in Split a few years ago, so shameful). Sorry for getting a bit political, but I’m disappointed with this news, so I’m looking at all possible explanations. But yeah, it all probably boils down to reasons that involve money. Spain is a beautiful country and I’m sure we’ll get splendid locations and visuals. I just hope the filming schedule won’t be as bad as last years’ in Alcazar, it just seemed like they didn’t have the proper time to film those scenes properly. I guess most of the scenes in Meereen this season will be indoors, maybe a few scenes in the streets as well but they can easily use Spain for that without breaking continuity. The only thing in Meereen I’m sure they’re going to have to return to Croatia to film is the catacomb where Rhaegal and Viserion are chained. What I find strange though, is that I remember that a while ago there was an article about how HBO made a deal with the Croatian government to shoot there for 2 more season, and now it looks like there’s a possibility they’ll be shooting mostly in Spain next year too. I’m fine with it, the show needs more diversity and they’ve already filmed pretty much everywhere in Dubrovnik, I jus find it odd. 7 day is enough time to film all scenes of King Landing in Dubrovnik. Shooting here normaly last only 10 days for King Landing’s scenes each season. So 7 days is normal time, nothing limited. It last longer when they shoot other places from GOT in Dubrovnik, like they did Qarth scenes in season 2. Filming in Croatia last normaly 1-2 months because they filmed Meereen and Braavos scenes in Split and Sibenik and some other Esos scenes. But for King’s Landing 7-10 days in Dubrovnik is normal time for each season. Not true. Yugoslavia was a Dictatorship in wich Croatians where forced to abandon our culture, tradition, religion and language. It was forbiden. We where regarded as people of second order. Almost like slaves. And Serbs where a ruler. Our 1500 years old culture was almost destroyed. That is why Croatia separated from Yugoslavia. Croatia existed 1500 years before Yugoslavia. So to us all memories on that period are like a nightmare. And that is offensive to us. Even beatifull Dubrovnik was almost destroyed by bombing of Serbian forces. Not really. They used real buldings, but they multiplied them with digital tehnology. So that city looks bigger than actual Dubrovnik. Let’s not go into political tirades, ok? This is neither time nor place. I think Mcshane will be Euron. He won’t be a big presence this season. They’ll just introduce him and maybe in ep10 he attacks the reach. Then he’s real threat in the coming seasons. To me, anyway, Mcshane looks like the perfect euron. He’s a little old (not in order to be Balons younger brother, but since book-euron has not aged and looks kinda young), but they’ll work around it. 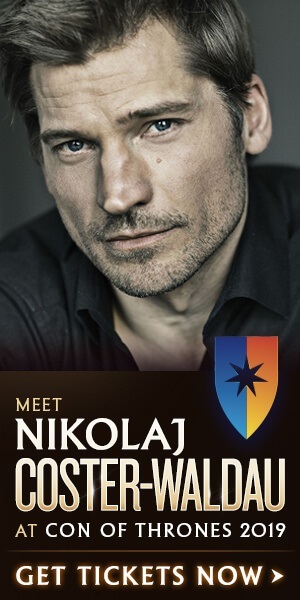 He would make euron absolutely terifying. And come, give us Damphair!!!! Tell that to person who offensively call us yugoslavens. 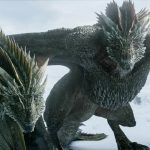 No that were the wishes of the Croatian side, HBO said that the desicion where to film is sill up in the air (check out the link i posted here earlier). Well, it’s less political and more historical. However, the two are inexorably intertwined. After all, isn’t that a recurring issue in SoI&F? 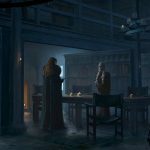 Regarding King’s Landing: how might that be prominent in the show this year? Cersei is there, yes: but she’s the only primary character there. Jaime might return there, or he might not. I doubt that Daeny will make it back there before the very end of the season at earliest. As such, there just might not be a lot of characters in Kings Landing this season. Damphairintheshowplease! : I think Mcshane will be Euron. He won’t be a big presence this season. They’ll just introduce him and maybe in ep10 he attacks the reach. It is a shot in the gloam, but this is the only target I can identify. Damphairintheshowplease! : He’s a little old (not in order to be Balons younger brother, but since book-euron has not aged and looks kinda young), but they’ll work around it. They can work around it by ignoring it! Only a small segment of the book-readers will know this in the first place, and it is improbable that this in and of itself is an important plot-point. I did, thanks. I must have read it wrong the first time. Yes, they are all from the continent of the Americas, making them all Americans. Anyone who would get offended that I call them Yugoslavian would be trying really hard to be offended. Plus, half my heritage is from that area and I spent time in that area as a kid. I think I’ll feel comfortable calling my people whatever I want. Just wanted to say I heard the same as Mace while doing a GoT tour of Dubrovnik late July. Regarding Split, I did a GoT tour of Split a few days later (what can I say, I’m a GoT fan on vacation in Croatia :D) and the guide there told us she had heard they would be back there. So there may be more shooting in Split than in Dubrovnik. GeekFurious: Yes, they are all from the continent of the Americas, making them all Americans. Croats are croats, Slovenians are Slovenians, Serbs are Serbs, Macedonians are Macedonians ect. We are all seperate nations with our own distinctive cultures. And we are all proud to our own origin. Same way as Americans are proud to be American, and they are proud to their culture. We are also very proud. Calling all of us yugoslavens is like as spitting at our cultures and our nations. We all where seperate nations for thousands of years before Yugoslavia. And Yugoslavia was a communist country that exist for only 50 years. 50 years of communist tyranny and without any freedom and democracy. We where all forced to be in that country. And we are again free. And we are proud to be free. This is what Yugoslavia done to us. I’ve been to Dubrovnik and I cannot imagine what a huge pain – for locals and crews – shooting there would be. Having said that, they’ve never filmed there for months on end. Probably the first couple of seasons, but even then the amount of IN Dubrovnik shooting is not immense. Exterior shots, but even things that are set in Kings Landing have been filmed in studio or in other locations. 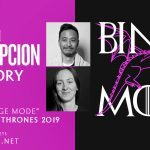 We may not even be seeing LESS of Kings Landing this season, it might likely be that it’s inside, and that helps consolidate shooting in studio for them. Of course, none of us knows what’s coming. If Winter actually does come, I don’t see how even Spain can be the main shooting destination. As I said before, they shoot in Dubrovnik King’s Landing scenes every season for around 7-10 days. They shoot longer only if Dubrovnik acts as some other locations in GOT world ( like Qarth in season 2 ). All outdoor scenes are always filmed in Dubrovnik. But most of interior scenes are filmed in Northen Ireland studios. For example they shoot last year 7 working days in Dubrovnik for season 5, 10 if we count Saturdays and Sundays. So really this news is nothing special. That news is only bad for other locations in Croatia ( Split, Sibenik, Klis, Kastel Gomilica ). And we had alot of King’s Landing in season 5. That is really enough time. 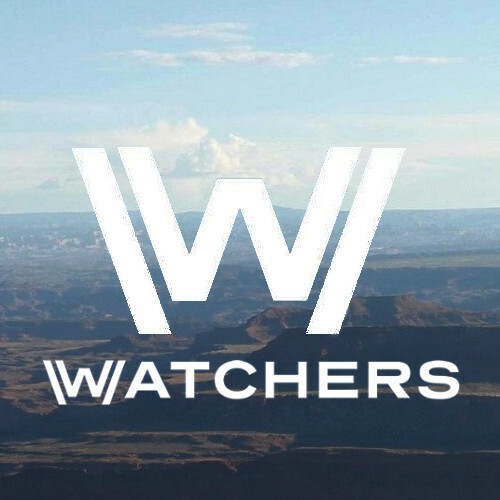 Season has only 10 episodes. They can shoot a multiple scenes a day. Also Lena Headey, a major actress in King’s Landing scenes recently gave birth. So maybe they want give her more time to recover, before filming on locations. The thing is that over 50% of shooting pictures (the things we feed on besides casting news during the off-season) came from Croatia shooting location in the previous 2 seasons…. I hope Spain keeps up. Exactly! I’m trying not to worry though, we did get lots of pictures from Spain last year, even from Daznak. I hope this year won’t be different. Indeed. I like to go around calling people Rhodesians whenever the opportunity arises. It pleases me, which is the most important thing you will agree. I get you. I think everyone should have the right to an own national and cultural identity, and people who ignore it and in fact tell you what you are and aren’t and that they have the right to call you what they want are just ignorant. I find this incredibly presumptuous. Maybe I can help make you understand better: I wouldn’t call a Latvian or Estonian person Soviet because I know that many Latvians and Estonians felt suppressed, their languages and cultural heritage forbidden, their sense of self denied. The fact that I once had a penpal in Estonia or that I had “Soviet” family (back when my great aunt was still alive) or that I speak a little Russian does not make any difference. They are their own people and I don’t presume to know better than they do what is and isn’t appropriate. So I call them what they call themselves, end of story. Given Yugoslavia no longer exists, why would anyone refer to someone as Yugoslavian, unless they’re simply ignorant, or at the very least don’t mind appearing so. I guess it goes to show you really can’t fix stupid. While it is unfortunate some were offended, selfishly, a part of me has been amused by the conversation. It isn’t often the phrase “willfully ignorant fuckstick” comes to mind, but when it does, it gives me a chuckle. I’m so jealous of those who’ve been able to travel around Croatia. It looks breathtakingly beautiful. :facepalm: at this whole conversation (to which I, sadly, contributed). Given Yugoslavia no longer exists, why would anyone refer to someone as Yugoslavian, unless they’re simply ignorant, or at the very least don’t mind appearing so. Slobo isn’t dead. He is posting in this very thread. Yay! More Ser Kevan! I hope he becomes a secondary, or even a main, character this season; Ser Kevan’s a great character and Ian Gelder is a fantastic actor too. I just wonder how (or if) they’ll do the epilogue to ADWD? Everyone who was there last season will be there again this season, with the near-certain addition of Jaime at least for a time, plus the possibility of others like Trystane, Mace Tyrell, etc. Add to that the fact that we’re probably going to see some trials, and I would say King’s Landing will definitely still feature prominently in the show. Outdoors, indoors, who know, but to speculate that KL action isn’t important in S6 is in my mind totally erroneous. If they need to film snow scenes, they should come to Canada…they’d definitely get bang for their buck right now. Plus, we’re all exceedingly polite. Sorry. Are they not filming Ghost’s wolf scenes in Calgary, or am I making that up?